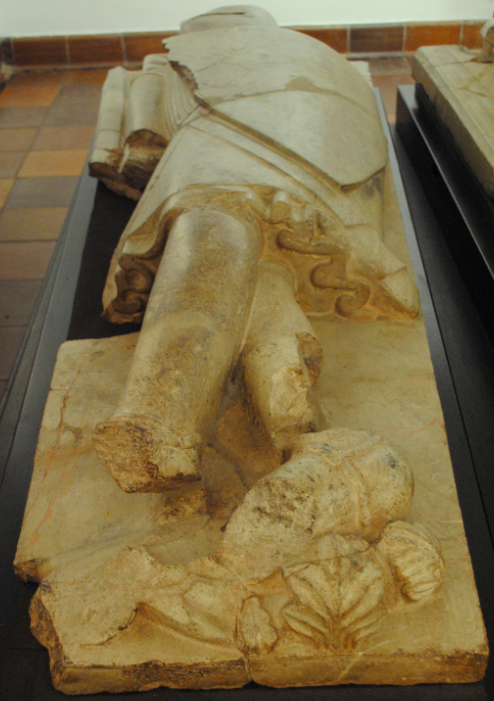 On display in Furness Abbey museum are two effigies of knights which once covered the graves of benefactors in the abbey church. 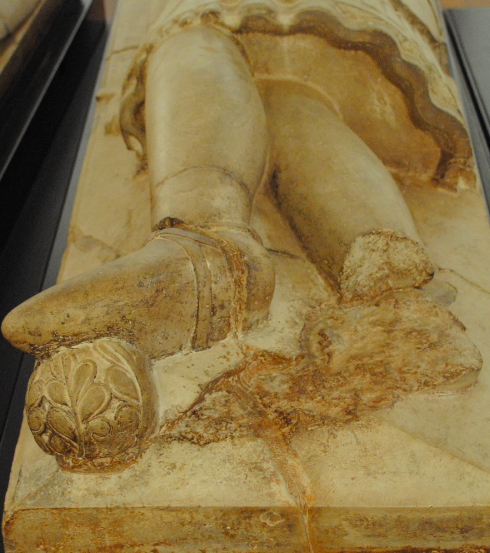 Dating between 1225-1250, the effigies show a rare and early style where the knights face is completely covered by his helmet. The sword pommel shows that the influence of Viking swords of the 9th and 10th centuries still lingered in the region.